As you can see in the pic, the tube is more than half empty. I've been using it so much and I totally love it. It claims that it cools and soften dry skin, but being a combination, super sensitive skin, my skin too seems to love this facewash. Its a light, pista green colored creme consistency. I comes in a transparent tube with a flip cap. 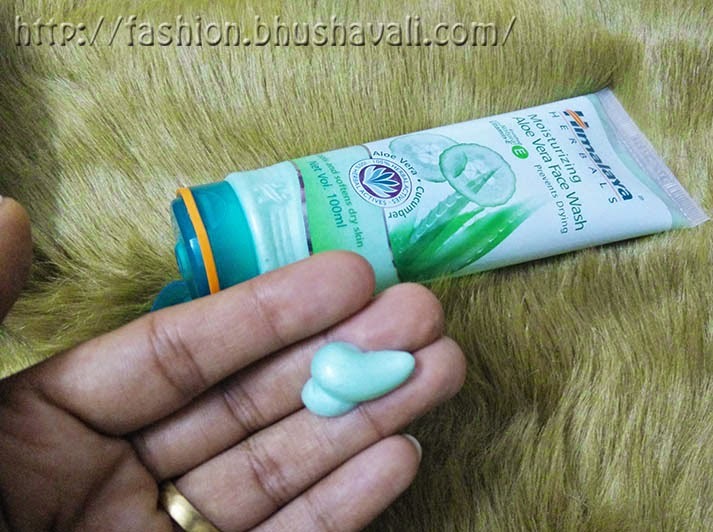 It has Aloe Vera & Cucumber with natural Vitamin E. When I apply it, it instantly gives a cooling effect like - reason, presence of Menthol!!! Guess what, if you've been following me on my facebook page for My Travelogue, other blog, you might know, I recently rode Pondy to Chennai. With pillion, this was the first time, and yeah, wearing half sleeves. I did apply a 50 SPF sunscreen, inspite of it, over few hours, skin does get affected. That too the summer here, is in its hottest time now. By the time, I reached home, my skin was almost burning. 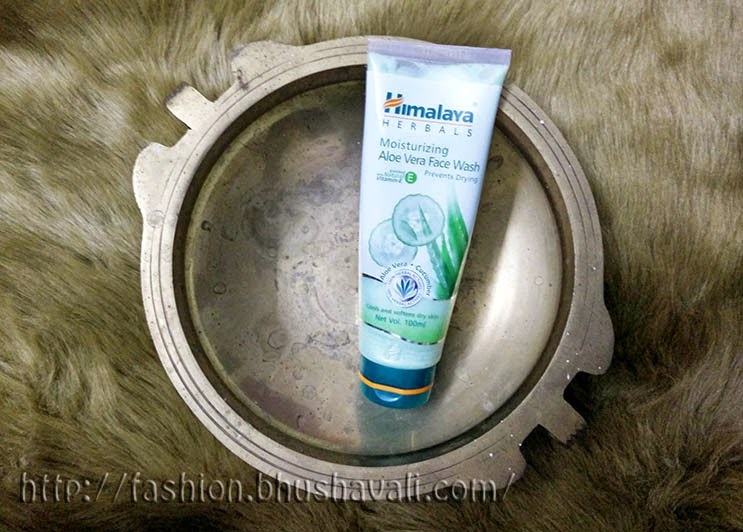 Guess what, I used this facewash, not only on face, but also forearms & feet. The cooling effect that it has is really good. Its almost menthol-ish!!! It almost does not lather at all. But I don't complain. Its really good on my skin. I feel the dirt off the skin, though there's no lather!! !